Lydia Korneievna Chukovskaya (Russian: Лидия Корнеевна Чуковская) (24 March [O.S. 11 March] 1907 – February 8, 1996) was a Russian writer and poet. She was the daughter of the celebrated children's writer Korney Chukovsky, wife of the scientist Matvei Bronstein, and close associate and chronicler of the poet Anna Akhmatova. Her deeply personal writings reflect the human cost of Soviet totalitarianism, and she devoted much of her career to defending dissidents such as Alexander Solzhenitsyn and Andrei Sakharov. The courage of Chukovskaya, together with other dissidents, played a crucial role in the ultimate collapse of the Soviet Union. She grew up in Saint Petersburg, the former capital of the Russian Empire torn by war and revolution. Chukovsky recorded that his daughter would muse on the problem of social justice while she was still a little girl. But Lydia's greatest passion was literature, especially poetry. It could hardly have been otherwise, given her pedigree and circumstances; their house was frequently visited by leading members of the Russian literati, such as Blok, Gumilyov and Akhmatova. The city was also home to the country's finest artists–Lydia saw Chaliapin perform at the opera, for instance, and also met famous realist painter Ilya Repin. Lydia got into trouble with the Bolshevik authorities at an early age, when one of her friends used her father's typewriter to print an anti-Bolshevik leaflet. Lydia was exiled to the city of Saratov for a short period, but the experience did not make her particularly political. Indeed, upon her return from exile, she returned to Saint Petersburg, now re-named, Leningrad's literary world, joining the state publishing house in 1927 as an editor of children's books. Her mentor there was Samuil Marshak, perhaps her father's biggest rival in Russian children's literature. 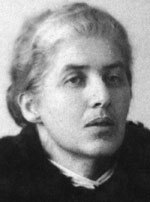 Her first literary work, a short story entitled "Leningrad-Odessa," was published around this time, under the pseudonym "A. Uglov." Soon, Chukovskaya fell in love with a brilliant young physicist of Jewish origin, Matvei Bronstein. The two were soon married. In the late 1930s, Stalin's Great Purges terrorized the land. Chukovskaya's employer came under attack for being too "bourgeois," and a number of its authors were arrested and executed. Bronstein also became one of Stalin's many victims. 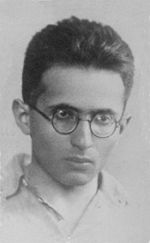 A Soviet theoretical physicist, pioneer of quantum gravity, author of works in astrophysics, semiconductors, quantum electrodynamics and cosmology, as well as of a number of books in popular science for children, Bronstein was arrested in August 1937. He was convicted by a list trial ("по списку") and executed the same day. His wife was told that he was sentenced to ten years of labor camps without the right of correspondence. Chukovskaya too would have been arrested, had she not been away from Leningrad at the time. Later, Bronstein's books for children Solar matter (Солнечное вещество), X Rays (Лучи X), Inventors of Radio (Изобретатели радио) were republished after he had been "rehabilitated" in 1957. For several years, her life was to remain nomadic and precarious. She was separated from her daughter Yelena, and kept in the dark about her husband's fate. In 1939-1940, while she waited in vain for news, Chukovskaya wrote Sofia Petrovna, a harrowing story about life during the Great Purges. The novella is notable as one of the few surviving accounts of the Great Purge actually written during the purge era. Sofia Petrovna, a typist in the Soviet Union in 1937, is proud of the achievements of her son Nikolai (Kolya), an engineering student and strong Communist. Kolya is beginning a promising career, with his picture featured on the cover of Pravda. Before long, however, the Great Purge begins and Sofia's co-workers begin vanishing, amid accusations of treachery. Soon, Kolya's best friend Alik reports that Kolya has been arrested. Sofia and her friend and fellow typist Natasha try to find out more but are drowned in a sea of bureaucrats and long lines. More people vanish, and Sofia spends ever more time in lines at government buildings. Natasha makes a typographical error that is mistaken for a criticism of the Red Army and she is fired. When Sofia defends her, she is criticized and soon forced out as well. Alik is questioned, and when he does not renounce Kolya, he, too, is arrested and vanishes. Natasha and Sofia both lose their will to live. Natasha commits suicide via poison, and Sofia immerses herself in a fantasy of Kolya's return. When she finally gets a letter from Kolya, in which he reaffirms his innocence and tells more of his own story, Sofia tries to fight for his freedom again, but realizes that, in this bizarre, chaotic place, she will likely only place more suspicion on herself and Kolya. Out of desperation, she burns the letter. The novella was written in 1939-1940 but remained unpublished due to the critical and honest nature of the piece. Originally written in a school exercise book, it was hidden, as its discovery could have endangered Chukovskaya. With the death of Joseph Stalin in 1953, and his subsequent denouncement by Khrushchev, Sofia Petrovna finally made its way through Russia's literary circles, in manuscript form through samizdat. During the late 1950s, Khrushchev's Thaw set in. Chukovskaya re-examined the work, edited out a no-longer-relevant introduction, and sought publication in 1962. The book was nearly published in 1963, but was pulled before it could be released due to a changing political climate. It was stopped at the last moment for containing "ideological distortions." Indomitable as ever, Chukovskaya sued the publisher for full royalties and won. It finally saw release in France in 1965 in Russian but with a changed title ("The Deserted House"). There were also some unauthorized alterations to the text. It was then published in the United States, in Russian, with the correct title, in Novy Zhurnal, Sofia Petrovna became legally available for the Soviet readers only in February 1988 in the era of Glasnost after it was published in the magazine Neva. This publication made possible publications of the other Lydia Chukovskaya’s works as Chukovskaya explicitly forbade any publications of her fiction in the Soviet Union before an official publication of Sofia Petrovna . Out of favor with the authorities, yet principled and uncompromising, Chukovskaya was unable to hold down any kind of steady employment. Gradually, she started to get published again: an introduction to the works of famous Ukrainian writer, Taras Shevchenko, another one for the diaries of Ukrainian ethnologist and biologist, Miklouho-Maclay. By the time of Stalin's death in 1953, Chukovskaya had become a respected figure within the literary establishment, as one of the editors of the cultural monthly Literaturnaya Moskva. Chukovskaya was a lifelong friend of Anna Akhmatova, and her next major work Спуск под Воду (Spusk pod Vodu or Descent Into Water) described, in diary form, the precarious experiences of Akhmatova and Mikhail Zoshchenko. This book too was banned from publication in her native land. In 1964, Chukovskaya spoke out against the persecution of the young Joseph Brodsky; she would do so again for Solzhenitsyn and Andrei Sakharov. She wrote a series of letters in support of Solzhenitsyn; these were published in Munich in 1970. Chukovskaya is well-respected for her courage in the face of oppression, both her own and those dissidents who dared to speak out. In supporting Soviet dissidents, Chukovskaya lost her own right to publish inside Russia. Although the KGB monitored her closely, it is thought that the Soviet state refrained from meting out harsher punishment because of her reputation in the West but also because of her father’s indisputable stature in Russian culture. Her relationship with Akhmatova was the subject of two more books. Throughout her life, Chukovskaya also wrote poems of an intensely personal nature, touching upon her life, her lost husband, and the tragedy that befell her country. ↑ website of the Petrovna family. (in Russian) Retrieved July 21, 2008. Website of the Chukovsky family. (in Russian) Retrieved July 20, 2008. This page was last modified on 20 May 2013, at 16:36.